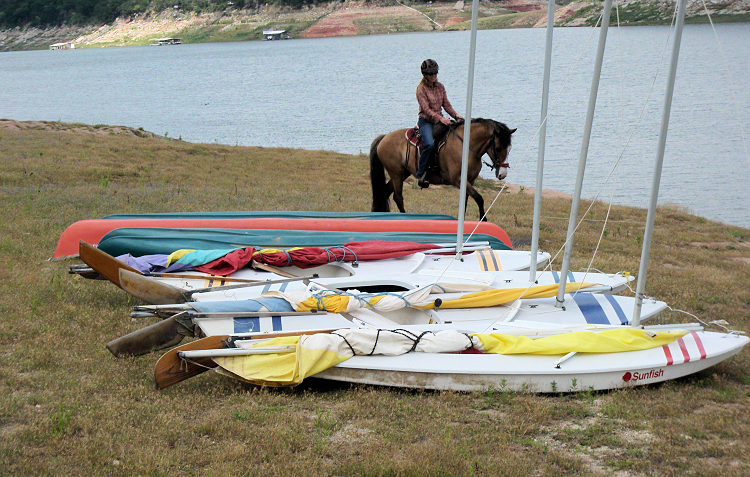 CLOSED Temporarily closed to equestrians due to heavy rains and high lake levels. Please call before you haul. Directions: From Texas 71 turn east (right if you are going north from Austin or Left if you are heading south coming from Marble Falls) on Co. Rd. 413/Greg Dr. which turns into Co. Rd. 404/Haynie Flat Rd. Turn left on Co. Rd. 414, this road will turn right and you will pass Hollingsworth Rd. and Exeter Rd. on the right. Stay on Co. Rd. 414 as it will go directly into Muleshoe Bend. 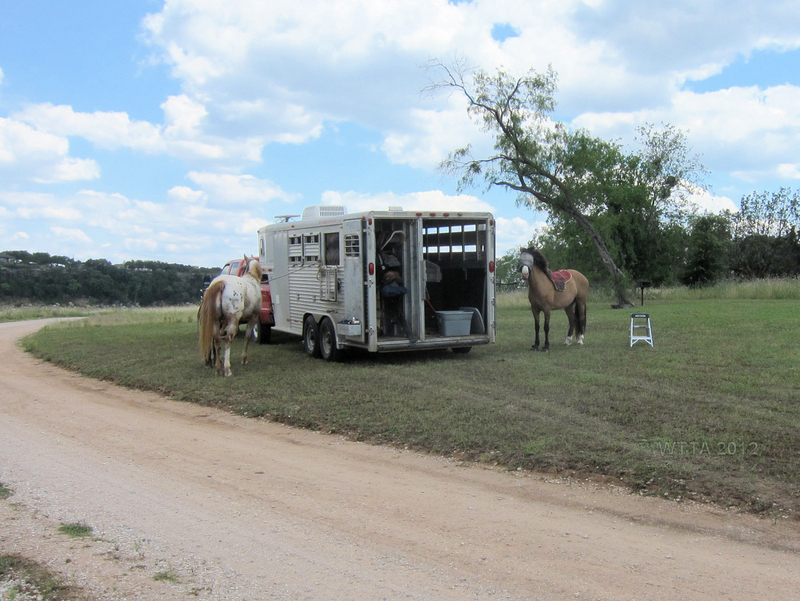 Camping: Camping with horses is allowed! 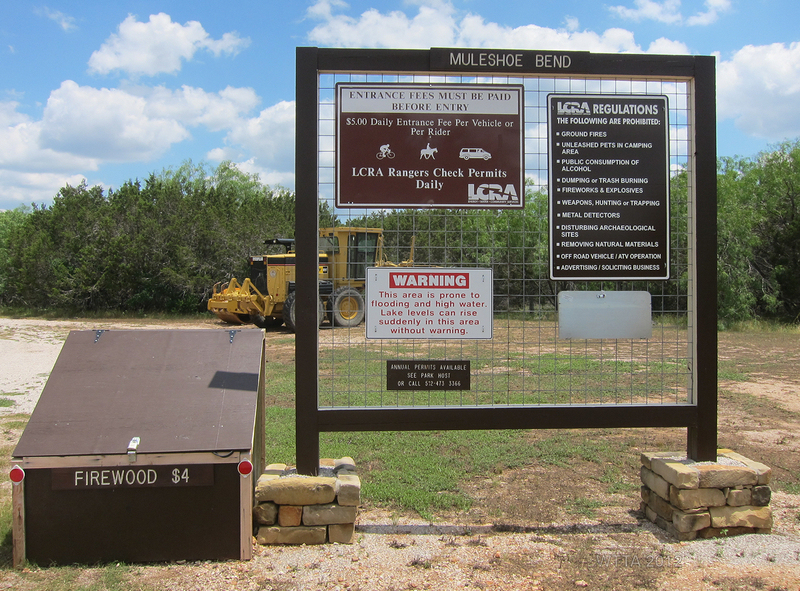 Facilities: When entering Muleshoe Bend there is a nice female/male bathroom facility to the left which also has an outdoor shower, water fountains, rock benches under an awning, and a water faucet which you can hook a hose to and fill your water buckets. The rest of the park is primitive with no running water and a few chemical toilets. 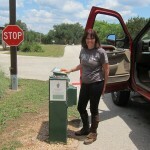 There is no designated equestrian trailhead. You can park at any of the camping areas or in the grass with your truck and trailer. Some of the campsites have picnic tables. Dog: Dogs are allowed but are required to stay on leash. Terrain: The Terrain along Lake Travis at Muleshoe Bend Recreation area is open flat to gently rolling hills with relatively few rocky areas. Trails leading off of the shoreline are a little more rocky and diverse with some wooded areas. Do be careful about getting close to the shore or going in the lake with your horse. The ground can be unstable, especially during a drought when lake levels are low. I have heard of horses getting stuck in the sinking ground near the shore. Description: Muleshoe Bend is owned and Managed by LCRA (Lower Colorado River Authority) and is off of Lake Travis. 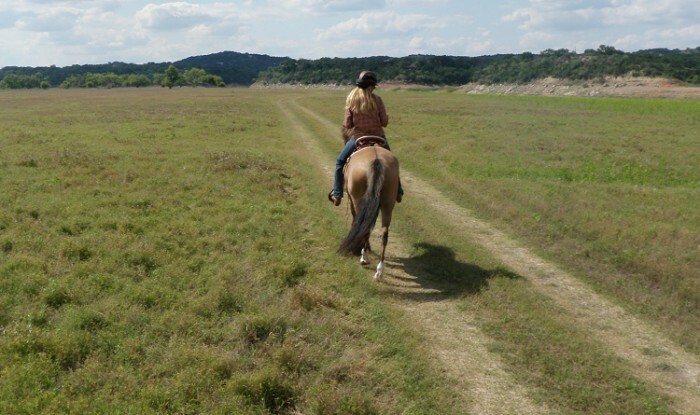 This is one of several parks (Pace Bend Park, Gloster Bend, Shaffer Bend Recreation area, Turkey Bend Recreation Area, and Grelle Recreation Area) off of Lake Travis in which horses are allowed. Muleshoe Bend has a designated bike trail which is not meant for equestrians. 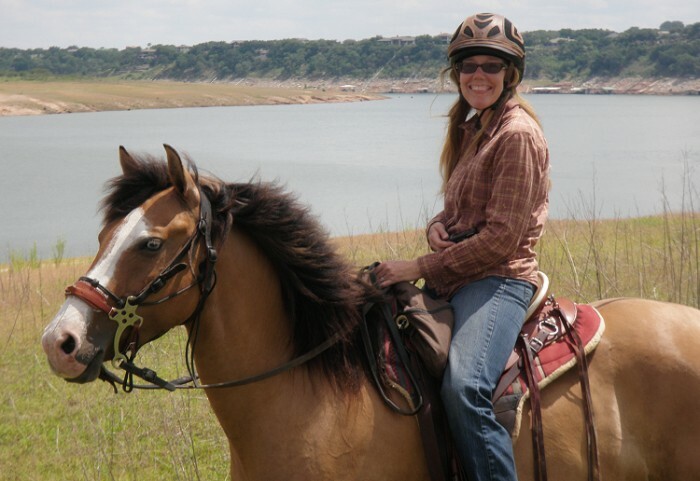 There are no designated equestrian trails, however, horseback riding is allowed at the park. 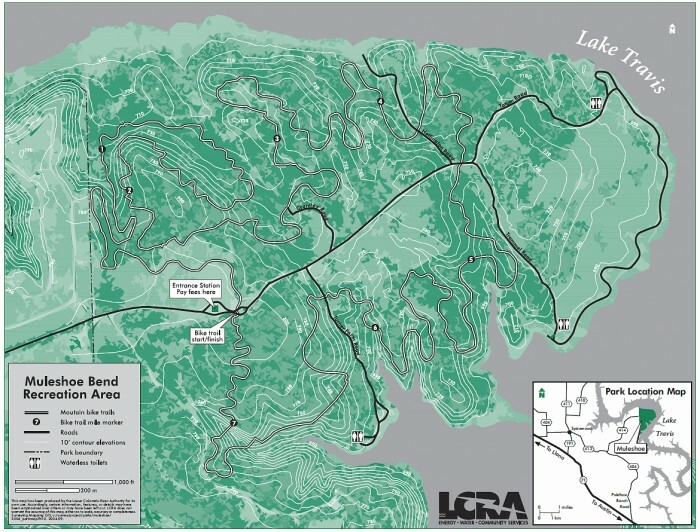 There is plenty of space to ride alongside the lake and a few two track dirt roads as well. We also found a few trails. I really enjoyed watching the lake activity, especially the float plans taking off and landing. 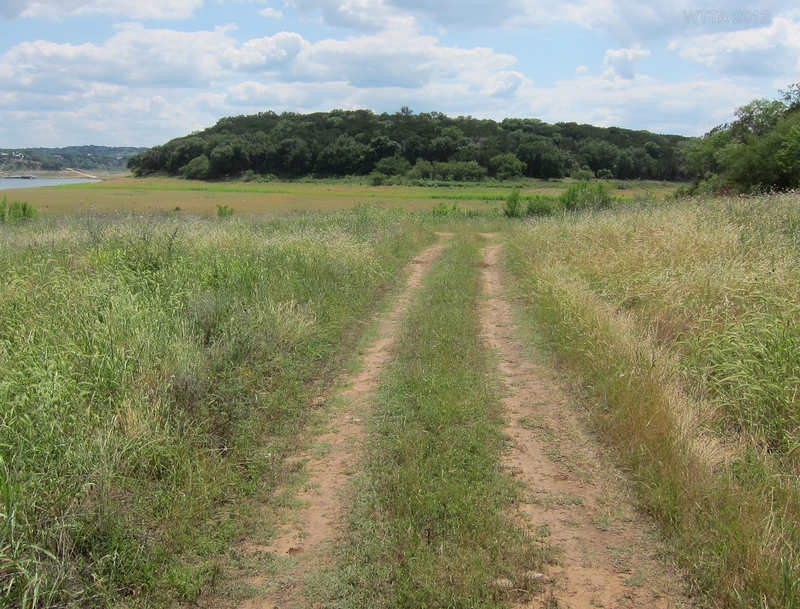 I hope to return to Muleshoe Bend and learn more about this park. 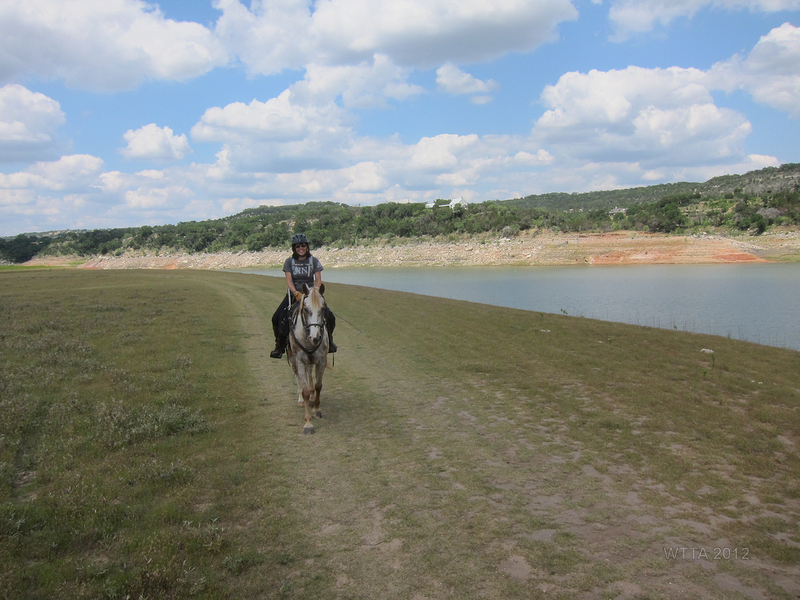 During this trip the lake level was low and the ground did not look solid at the shore line so we did not water our horses in the lake or ride them into the lake. 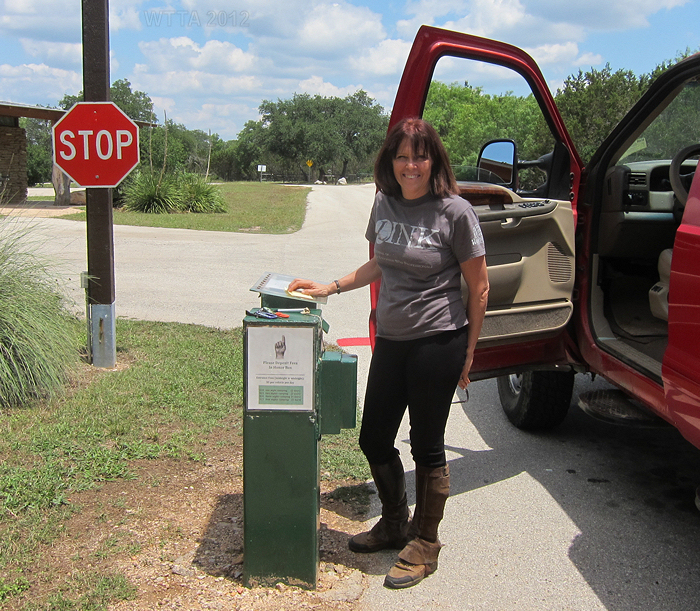 I do advise bringing your own water or filling up a water bucket for your horse at the entrance of the park where there is a faucet. You can barely see the yellow float plan in the center of this shot. Thank you Carol Grosvenor for this shot, several other shots, and enjoying this ride with me. The horses are getting a nice cool drink and rinse off at the park entrance before we head out.